BA, Washburn University, Topeka, Kan.
MS, Kansas State University, Manhattan, Kan.
Med, University of Missouri, Columbia, Mo. I am interested in families and the health of family members. In particular, my research program has focused on how marital and family transitions are related to family care giving processes across the life course. This program has included studies of divorced and remarried mothers of children with cystic fibrosis and studies of parental and filial responsibilities to dependent kin when families have experienced marital transitions. I have been funded for this work by the National Institute of Aging and have received funding for family-related research from the National Institute for Nursing Research and the Kauffman Foundation. Coleman, M., Ganong, L., and Warzinik, K. (2007). “Family life in 20th century America.” Westport, Conn.: Greenwood. Ganong, L., and Coleman, M. (2004). “Stepfamily relationships: Development, dynamics, and intervention.” New York, N.Y.: Springer. Coleman, M., and Ganong, L. (Eds.). (2004). “Handbook of contemporary families: Considering the past, contemplating the future.” Thousand Oaks, Calif.: Sage. Gayer, D., and Ganong, L. (2006). Family structure and mothers’ caregiving of children with cystic fibrosis. Journal of Family Nursing, 12, 390-412. Ganong, L., and Coleman, M. (2006). Responsibilities to stepparents acquired in later life: Relationship quality and acuity of needs. Journal of Gerontology: Social Sciences, 61B, S80-S88. Ganong, L., and Coleman, M. (2006). Multiple segment factorial vignette designs. Journal of Marriage and Family, 68, 1-14. Porter, E. J., and Ganong, L. H. (2005). Older widows’ speculations and expectancies concerning professional home-care providers. Nursing Ethics, 12, 507-521. Ganong, L., Doty, M.E., and Gayer, D. (2003). Mothers in post-divorce families caring for a child with cystic fibrosis.Journal of Pediatric Nursing, 18, 332-343. Ganong, L. (2003). Selecting family measurements. Journal of Family Nursing, 9, 184-206. Porter, E., and Ganong, L. (2003). Considering the use of a Personal Emergency Response System: An experience of frail, older women. Journal of Case Management: The Journal of Long Term Health Care, 3, 192-198. Lawrence H. Ganong, PhD, is professor of nursing and human development and family studies. Ganong has been at MU for nearly 30 years. He is a leading authority on remarriage and stepfamily dynamics, having conducted research on stepfamilies for over three decades. He has authored or co-authored seven books and over 180 articles and book chapters. Many of these publications were written with his wife and colleague, Marilyn Coleman. In addition to publishing in academic journals, Ganong has written for popular magazines and conducted many workshops about remarriage and stepparenting in the United States and Great Britain. Ganong has a joint appointment between Nursing and Human development and Family Studies. His research interests are multidisciplinary. 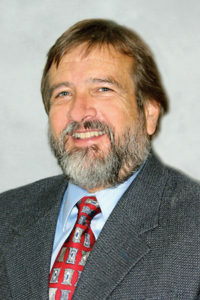 Consequently, he has published his research in the journals of several disciplines, including nursing, family studies, psychology, sociology, health education, and counseling. He serves or has served on the editorial boards of the best family science journals (Journal of Marriage and Family, Family Relations, Journal of Family Issues), as well as on the boards of journals from nursing (Journal of Family Nursing) and other fields. Ganong has conducted many studies with doctoral students as co-investigators and co-authors. Ganong, L., and Coleman, M. (2007, November). “Postdivorce families.” Presented at the National Council of Family Relations Annual Conference, Pittsburgh, Pa.
Ganong, L. (2006, November). “Intergenerational relationships in stepfamilies.” Presented at the National Council of Family Relations Annual Conference, Minneapolis, Minn.
Ganong, L. (2005, November). “Promoting the safety of women and their children when women separate from violent partners.” Presented at the National Council of Family Relations Annual Conference, Phoenix, Ariz.
Ganong, L., and Coleman, M. (2005, June). “Multiple segment factorial vignettes in family nursing research.” Presented at the 7th International Family Nursing Conference, Victoria, BC, Canada. Popejoy, L.L., Kelly K. P., and Ganong, L. (2005, March). “End-of-life decision-making across the lifespan: An integrative review of the literature.” Presented at the Midwest Nursing Research Conference, Cincinnati, Ohio.